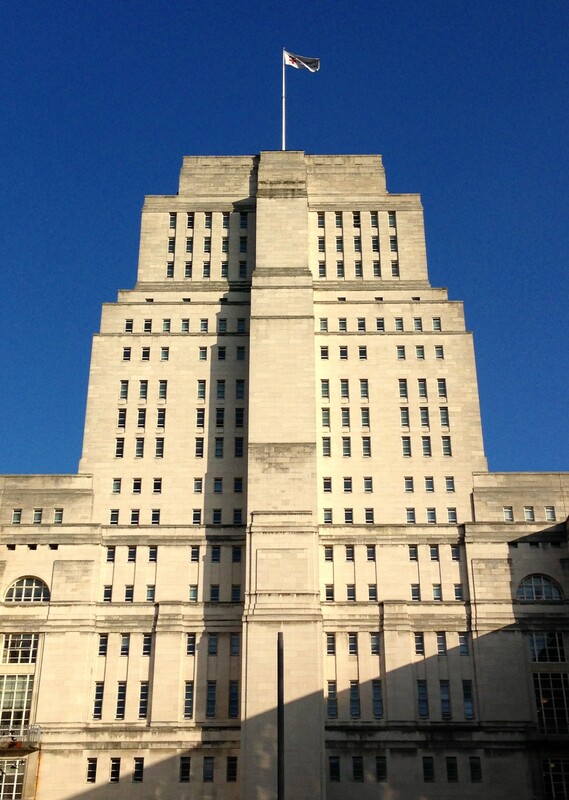 Art Deco Architecture in Bohemian London. 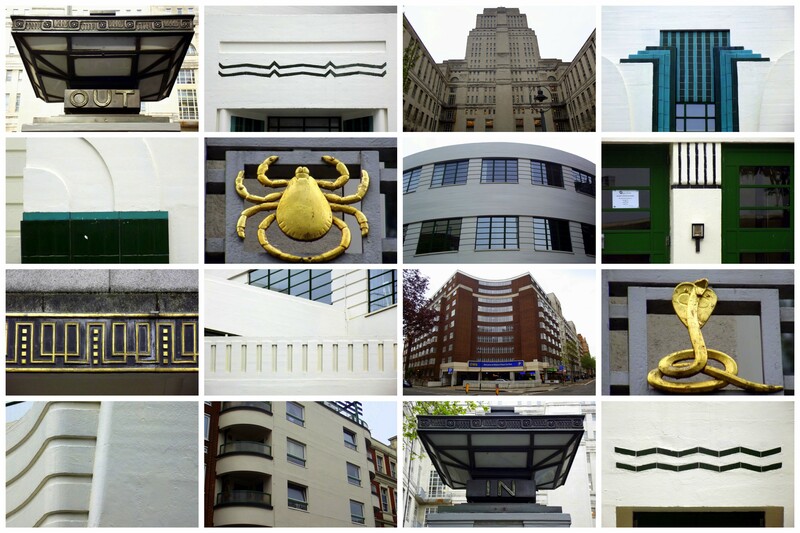 From sprawling residential properties to London’s first skyscraper, Art Deco in Bloomsbury explores the rich architectural history of Bloomsbury while taking visitors along the area’s grand squares and secret corners. 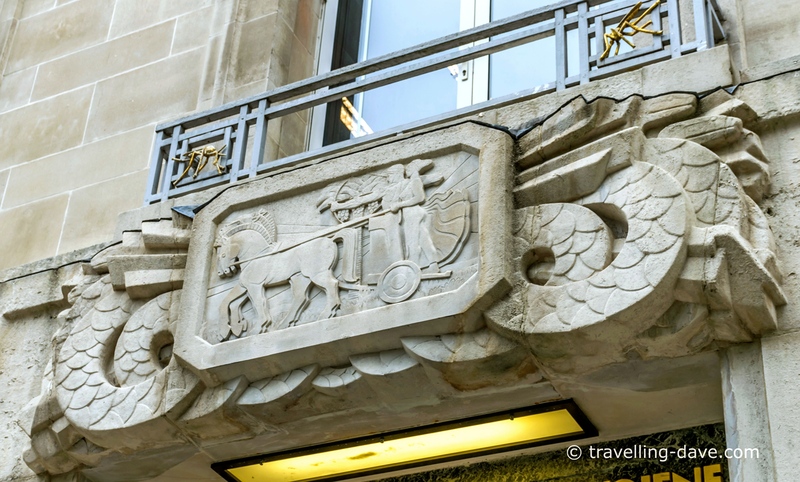 Bloomsbury’s rich Art Deco heritage includes Charles Holden’s iconic Senate House, the former Daimler Car Hire garage and a reconverted petrol station. From sophisticated glamour to severe functionality, the aim of this walk is to make this architectural style roar again! 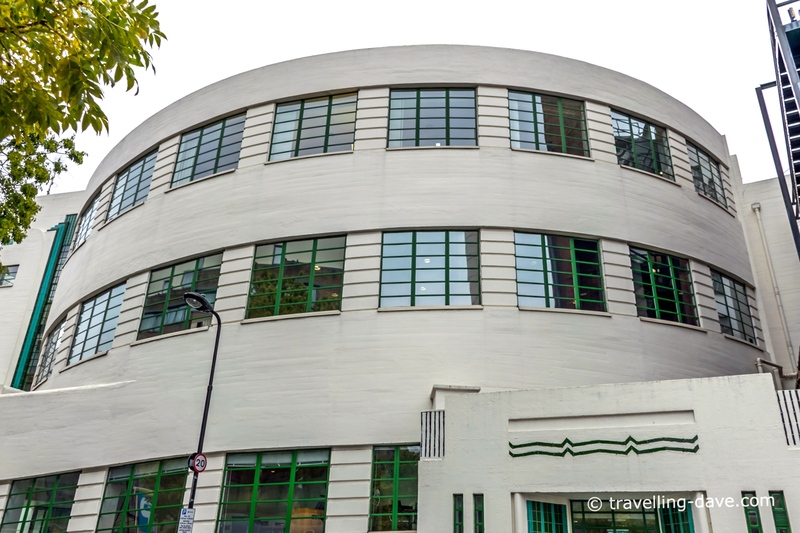 While I don’t want to give away all of the Art Deco secrets of this tour just yet, I can tell you that our route will also take us past a controversial Modernist icon, an Art Nouveau-style lodge as well as London’s first pedestrianized shopping street. 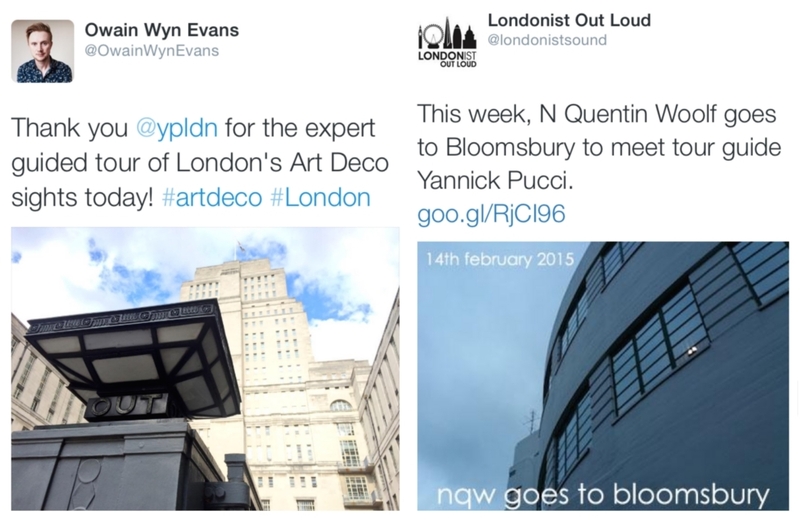 These contrasting points will help us to highlight what came before and after the Deco movement. 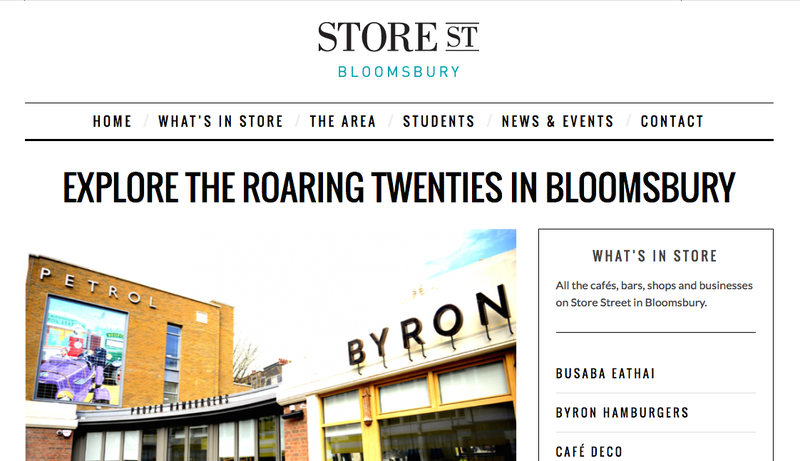 Met with great enthusiasm from the public, this architectural walk had a smashing debut at the Bloomsbury Festival 2013 and it has been the subject of a Londonist Out Loud podcast radio interview with novelist and broadcaster N Quentin Woolf. In 2015, I have also been fortunate to lead the walk for the Friends of the Royal Academy of Arts (RA). 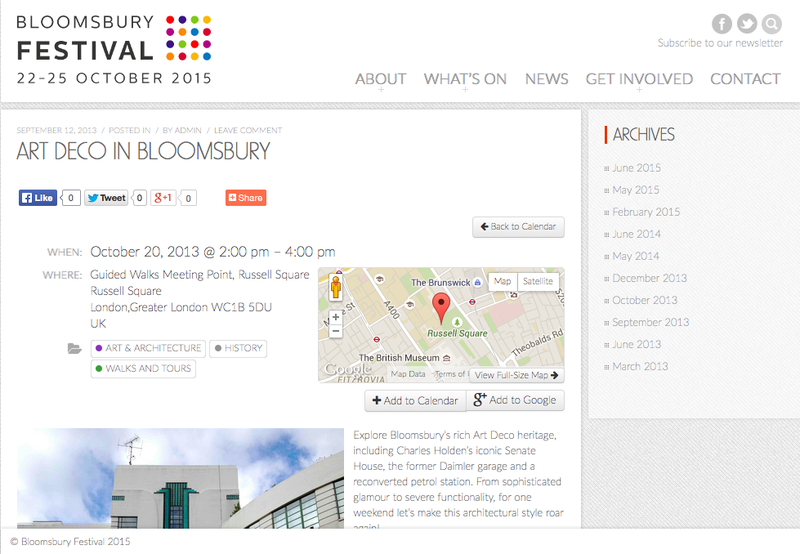 This tour is aimed at seasoned Londoners and tourists who are looking to explore Bloomsbury from an architectural perspective. 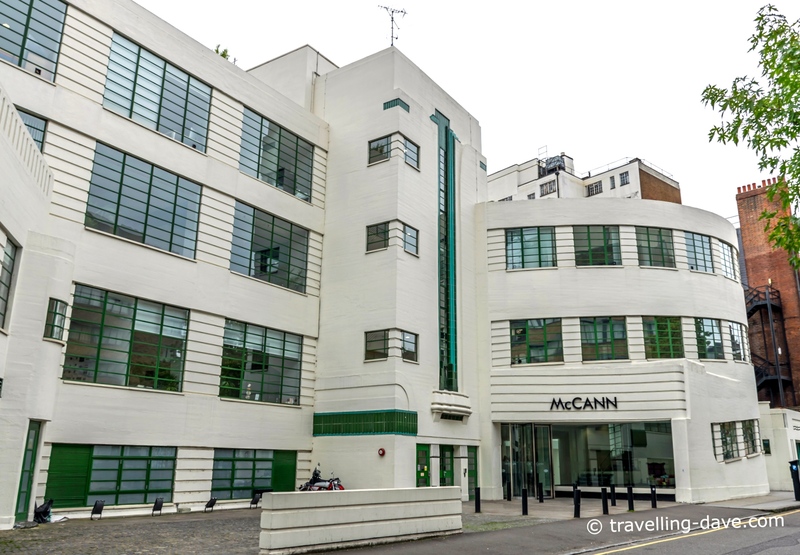 An ideal gift for history buffs as well as fans of all things ‘Art Deco’, this walk can also be booked as a private tour for birthdays, weddings or any other special occasions. 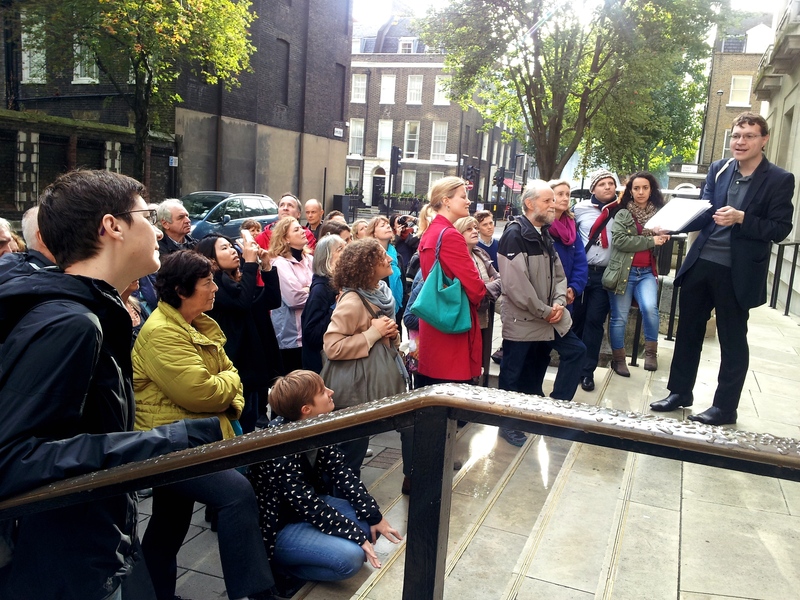 The meeting point for this tour is by the fountain in the middle of Russell Square (see the map below). 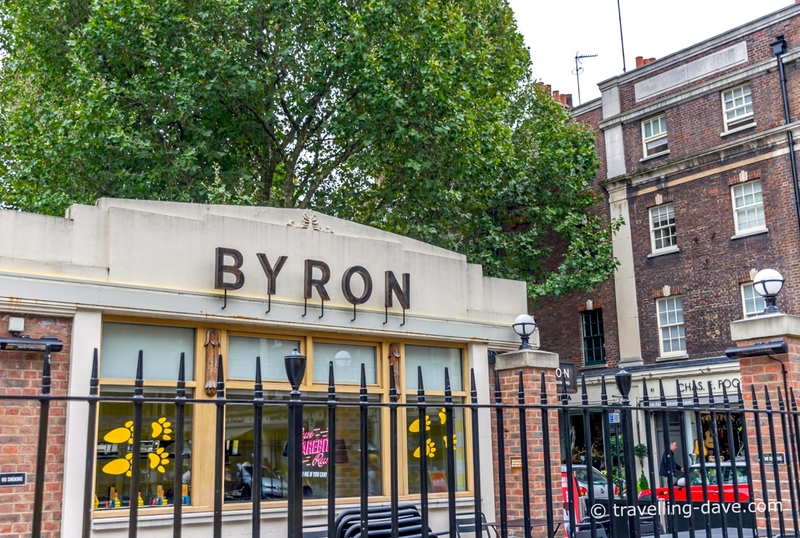 The closest transport link is Russell Square Tube Station (Piccadilly Line). Please note the water feature is turned off during the winter months. Lasting about two hours, the tour finishes in Store Street, close by Tottenham Court Road Tube Station (Central Line and Northern Line).